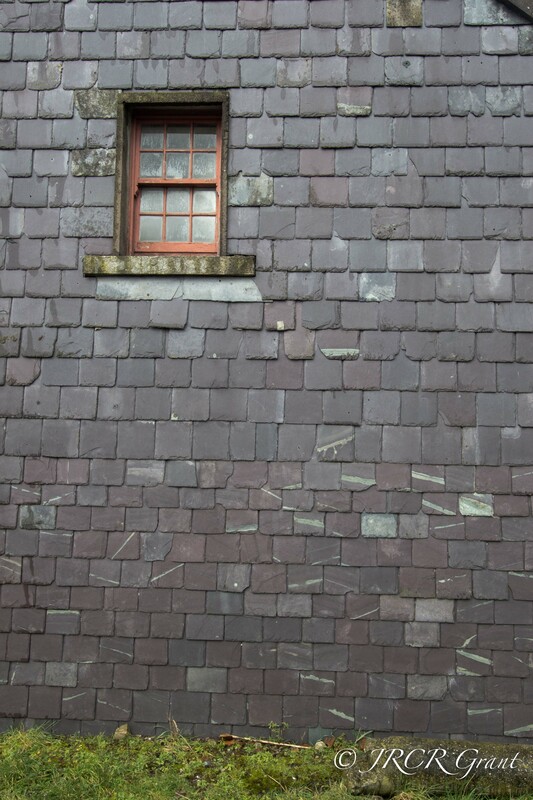 In looking for subjects to fulfil the ‘abandoned’ photo challenge, I came across a house with the end wall completely covered in slate tiles except for a small single window. The wall was so unusual that I had to turn around and check it out for myself. The slates were each individual, of varying shade and many with coarse lines across them. It reminded me of a jigsaw. Followed by the Wall of Slates. 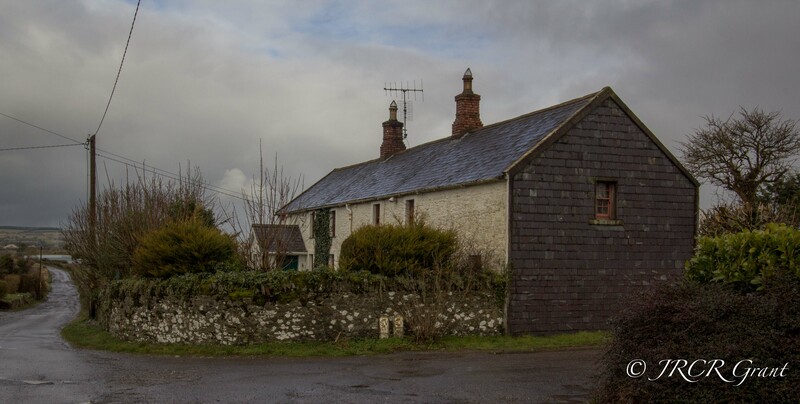 These old houses seem to hold so much character. That wall is just fantastic! Unlike your other ‘abandoned’ structures, this one looks like it could be re-claimed and would make someone a decent home again. As a builder I can see they must have had water penetrating the solid gable end wall (no cavities when this was built!) and have fitted the slates to further waterproof the gable from the driving wind & rain, the slates were possibly ‘close to hand’ but also lightweight and so minimising extra load onto the existing foundations. Either way this is a really resourceful reuse of existing materials and remedying the problem!